This is a great sample site for any doctor's office. 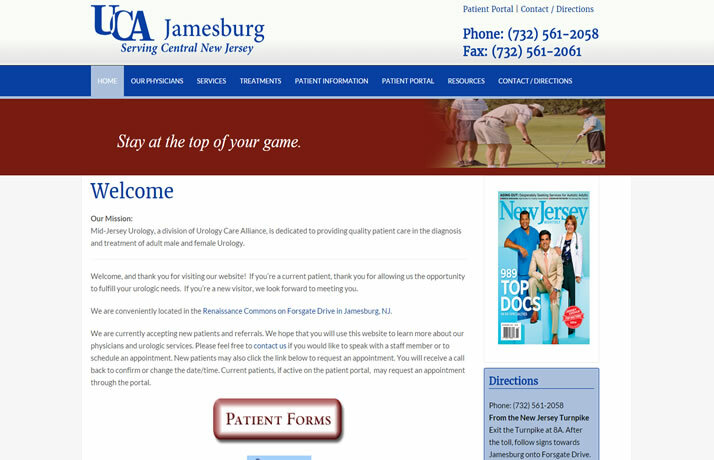 It is clean, simple and easy for your patients to view the various of services that you offer. We rebuilt this site to mimic the look of the 'corporate site' of UCA, which was built in WordPress. We got the same look, but in Joomla with the features of Joomla.